In the great nation of Emperor Penguins, deep in Antarctica, you're nobody unless you can sing-which is unfortunate for Mumble (ELIJAH WOOD), who is the worst singer in the world. He is born dancing to his own tune...tap dancing. Though Mumble's mom, Norma Jean (NICOLE KIDMAN), thinks this little habit is cute, his dad, Memphis (HUGH JACKMAN), says "it just ain't penguin." Besides, they both know that without a Heartsong, Mumble may never find true love. As fate would have it, his one friend, Gloria (BRITTANY MURPHY), happens to be the best singer around. Mumble and Gloria have a connection from the moment they hatch, but she struggles with his strange "hippity-hoppity" ways. Mumble is just too different-especially for Noah the Elder (HUGO WEAVING), the stern leader of Emperor Land, who ultimately casts him out of the community. Away from home for the first time, Mumble meets a posse of decidedly un-Emperor-like penguins-the Adelie Amigos. Led by Ramon (ROBIN WILLIAMS), the Adelies instantly embrace Mumble's cool dance moves and invite him to party with them. In Adelie Land, Mumble seeks the counsel of Lovelace the Guru (also voiced by ROBIN WILLIAMS), a crazy-feathered Rockhopper penguin who will answer any of life's questions for the price of a pebble. Warner Bros. Pictures presents, in association with Village Roadshow Pictures, a Kennedy Miller production, in association with Animal Logic Film. 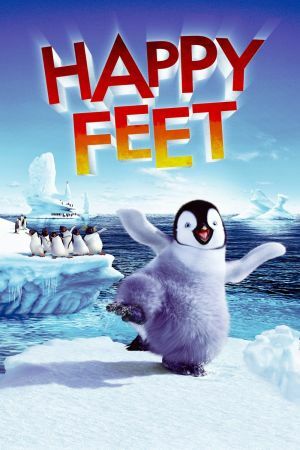 A George Miller film, "Happy Feet" features the voices of Elijah Wood, Robin Williams, Brittany Murphy, Hugh Jackman, Nicole Kidman, Hugo Weaving and Anthony LaPaglia. The film also features the tap dancing of Savion Glover. "Happy Feet" is directed by George Miller, who also co-wrote the screenplay with John Collee, Judy Morris and Warren Coleman. The film is produced by Doug Mitchell, George Miller and Bill Miller, with Zareh Nalbandian, Graham Burke, Dana Goldberg, and Bruce Berman executive producing. The music is composed by John Powell, and the soundtrack also includes songs performed by Prince, Yolanda Adams, Fantasia Barrino, Gia Farrell, Chrissie Hynde, Patti LaBelle, k.d. lang, Jason Mraz, and Pink. 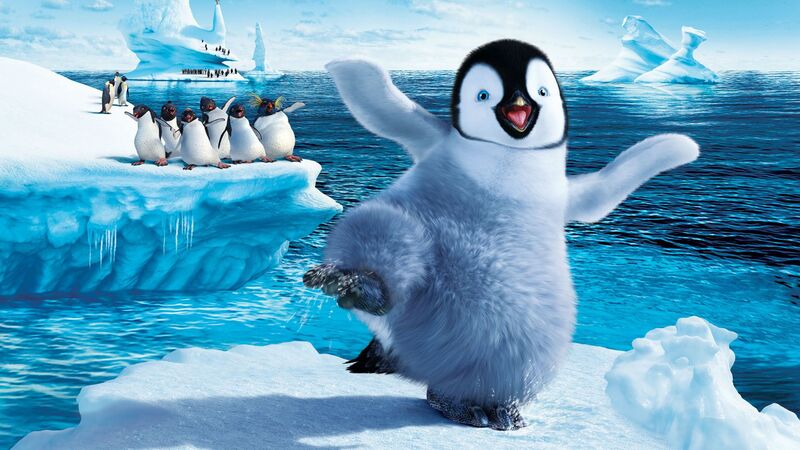 "Happy Feet" will be released by Warner Bros. Pictures, a Warner Bros. Entertainment Company, and in select territories by Village Roadshow Pictures.